These Leather Design Cardboard Box are the perfect solution for lightweight storage problems. whether it is old newspapers you want to keep, or some teddy bears or other small things, these boxes are the perfect thing you're looking for. The boxes come flat packed and require assembling. They come in a variety of different designs. 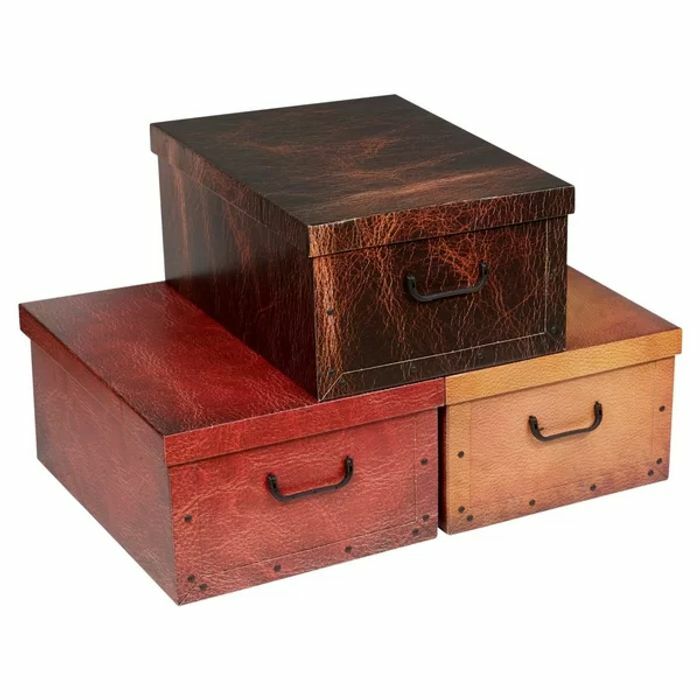 Buying this Rebrilliant Leather Design Cardboard Box online from Wayfair.co.uk? We want to make sure you're as happy as possible. If you've got any questions about this item or any other, our customer service representatives are always happy to help. You can also read customer reviews and common questions and answers for Rebrilliant Part #: U000786818 on this page. Whether you just want to buy a Rebrilliant Leather Design Cardboard Box or shop for your entire home, Wayfair.co.uk has a zillion things home. What do you think of this Wayfair UK deal?